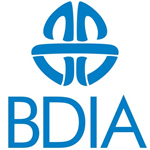 The BDIA is the UK’s association for the dental industry. We play a pivotal role in driving standards for the provision of quality oral healthcare. We are the voice of our members, trusted manufacturers and suppliers of innovative products, services and technologies, who are interested in shaping and improving the future of dentistry, sharing knowledge, building business, networking and engaging in initiatives to develop dentistry. Our members collaborate on a diverse range of activities. These include market data, working in partnership with national and international industry bodies and regulators, campaigning to highlight the dangers of counterfeit products, as well as valuable training and exporting activities that benefit their businesses and in turn the dental profession and their patients. Our funds are directed to the development of dentistry as a whole.